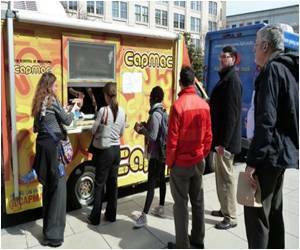 Rebecca Harman grounds how special macaroni and cheese is, one of America's top national dishes while squeezing into the queue at the CapMac food truck in downtown Washington one sunny lunch hour. "It's hot, it's rich and its heavy," said Harman, a government employee, waiting for her high-carbohydrate serving of pasta laden with melted cheese. "Just like Americans -- although I don't know about the 'rich' part." A staple side dish for generations, notably at barbecue joints in the Deep South, "mac-and-cheese" is enjoying a renaissance among American foodies. In some places, entire restaurants are dedicated to it. In the back of CapMac, a virtual kitchen on wheels as bright and yellow as its signature dish, young chef Brian Arnoff -- an alumnus of the Apicius culinary institute in Florence, Italy -- sums up the ingredients. It starts with pasta, of course, usually cooked elbow macaroni, saturated with a cheese sauce, typically made from cheddar, with mustard, paprika and cheese gratings thrown in for good measure. "It's one of the Americans' favorite dishes," Arnoff told AFP. "It's a comfort food. People love to eat it as a main course or as a side dish." So why is it so enduringly popular? "It has something to do with childhood," the chef said. "Americans grew up eating mac and cheese ... In adulthood, it gives some feeling of being back at home, enjoying some childhood." "Everybody likes it, kids and grown-ups," said Nick Broderick, 29, a Senate staffer. "It's easy to cook, tastes good and affordable." Kraft Foods invented the blue-box supermarket version of macaroni and cheese, complete with a cheese powder that turns into sauce when mixed with milk, in 1937 amid the Great Depression. But the recipe goes back to the Middle Ages, said restaurateur Robert Dunn, 42, whose MacDaddy's Macaroni and Cheese Bar has been a hit since it opened three years ago in Monroe, Connecticut. Traces of the recipe appeared in 14th century medieval Italian cook books, he said, and in 1802 then-president Thomas Jefferson had it served as a side dish at the White House. In that sense, he said, mac-and-cheese has been part of the American diet for much longer than the hamburger or the hot dog. "It's very trendy," Dunn said. "If it wasn't, I wouldn't be franchised," with 10 MacDaddy's opening in Texas, five in California, two in New York and two more in the nation's capital. MacDaddy's offers about 20 different takes on mac-and-cheese, with different kinds of pasta and cheese as well as novel extra ingredients such as mushrooms, chicken, spinach, asparagus, shrimp and even lobster. With the United States still climbing out of recession, mac and cheese has also been turning up on the menu at fashionable restaurants alongside lobster and truffles. "Mac and cheese is definitely an American favorite and this preparation was put together to bring elegance and refinement to a classic comfort food," said chef Adam Sobel of the Four Seasons restaurant in Washington about his truffled mac and cheese dish. Food blog Endless Simmer (www.endlesssimmer.com) has gone a step further, proposing 10 ways to eat mac-and-cheese before you die, including mac-and-cheese sushi, burritos and meatloaf. But, given that a one-cup serving of Kraft Macaroni and Cheese clocks in at 290 calories, with a lot of carbohydrates and relatively little protein, America's favorite dish has its nutritional price. 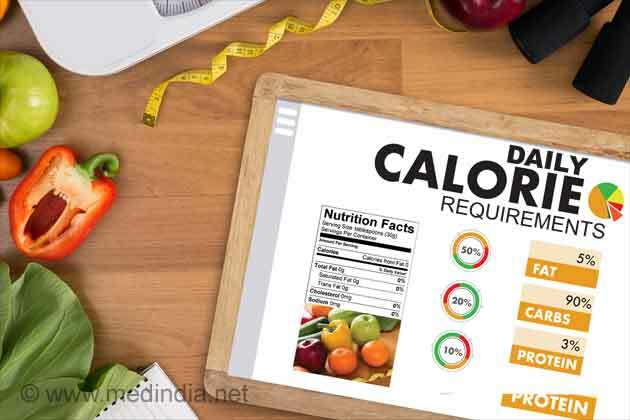 "It's not something people think about when they eat it," said Dunn, who quipped that he won't be putting the calorie count of his versions on the menu unless it becomes the law of the land to do so. New York Pizza World: Who Will be the Big Cheese? There is much curiosity over who will be the big cheese on one of the New York's hottest slices of pizza real estate. White wine is a better match for cheese than red wine contrary to popular belief, researchers say. Comfort Foods - Beans, Sausage and Mash, and Cheese Macaroni! Beans on toast, sausage and mash, tomato soup, chicken and mushroom pie and macaroni cheese have been named the top five comfort foods by a team of academics. At just 10 years old, Eli Knauer who has a ravenous appetite for seeking out the juiciest meats and sweetest desserts in Baltimore restaurants, is is no ordinary food critic.